“Elixir greens is a diverse, greens-rich food powder full of phytonutrients, vegetables and fruits, many of which most people are not getting enough of today. In a world where individuals are often on the go with little time devoted to food preparation, Elixir Greens offers a convenient, nutrient- packed super powder that can be easily put into water, fruit juice, or other beverages to increase one’s nutrient intake whilst also encourage a more balanced, alkaline pH in the body. 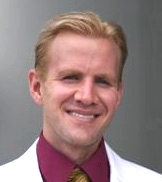 Dr Eric Wood, MA, NMD is a licensed naturopathic physician with extensive experience in medical consulting, practice, teaching, writing and publishing. Trained at the Canadian College of Naturopathic Medicine, he received additional training at Harvard’s Benson Henry Institute for Mind Body Medicine and through the ILADS tick borne illness physician fellowship program. Furthermore, he observed and volunteered at notable integrative cancer centers across the country including Cancer Treatment Centers of America, The Issels Clinic and Medicor (Canada). He has worked as a specialty physician for several of the country’s leading supplement companies, Neuroscience Inc. and Life Extension, is currently on faculty at Hawthorn University as Assistant Professor of Holistic Nutrition, practices at the Physical Health Complex in Florida, and is releasing a number of books in the coming year on topics including adrenal fatigue, the Paleolithic diet, weight loss, and more.